After a year where I avoided making a best-of for six months, I’m thoroughly excited to bring you this year’s albums of the year list. After the jump, the 40 finest albums of the last year of the decade — a list full of fresh faces and modern heroes alike. 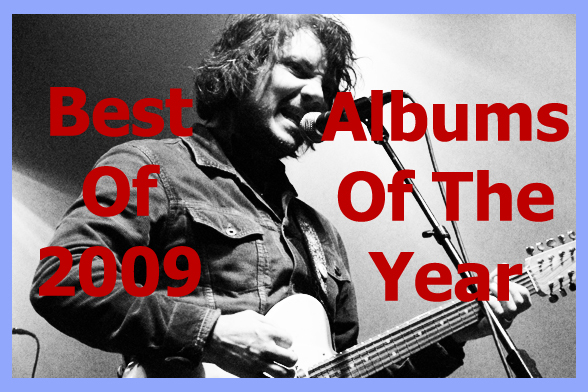 Editor’s note: As the vast majority of these appear on my Best Songs of 2009 list, I’ll point you there for the MP3s. Please, seek these bands out on the Internet and pay them money for the privilege of listening to their music — they deserve it. Like Technicolor Health, a record of exuberant, extremely rewarding indie rock that would’ve been enormous in the heady days of 2005. Don’t sleep on it now. Maybe not the best Neko record, but certainly my favorite: for the first time, the alt-country fixture sounds like she’s having fun. So am I. My favorite living musician makes her prettiest, singer-songwriter-est album ever. A mom’s answer to #15. For once, a Broken Social Scene outlier worth watching — sleek, minimalist guitar pop both effervescent and immersive. About a third of this should’ve been titled Jackson Browne (The Album), but the rest is all the excellent work we’ve come to expect from the best band in America. Shoegazer act turns down the volume, turns up the songwriting. Not Sondre’s best (that’d be the jazz-rooted Duper Sessions), but his best straight pop record since his debut. 2009 Bacharach. Indie pop lives! Now, fellas, learn about tempos. A dark, otherworldly record that went too unrecognized in this one. The haunting Australian folkie is as hypnotic as ever with a new backing band, but now he’s added psych-rock force to his arsenal. 25. Holopaw – Oh, Glory. Oh, Wilderness.